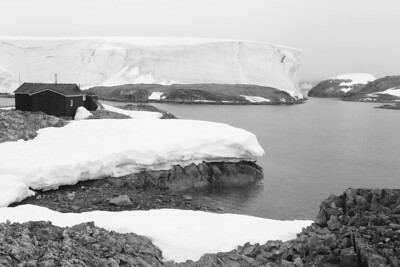 British Wordie House, Winter Island, 65˚15’S, 64˚16’W, Site first established in 1935, closed in 1954 Located in the Argentine Islands. 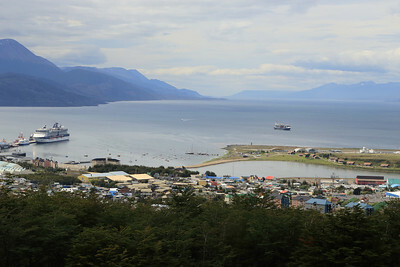 Ushuaia, looking down towards the Beagle Channel. 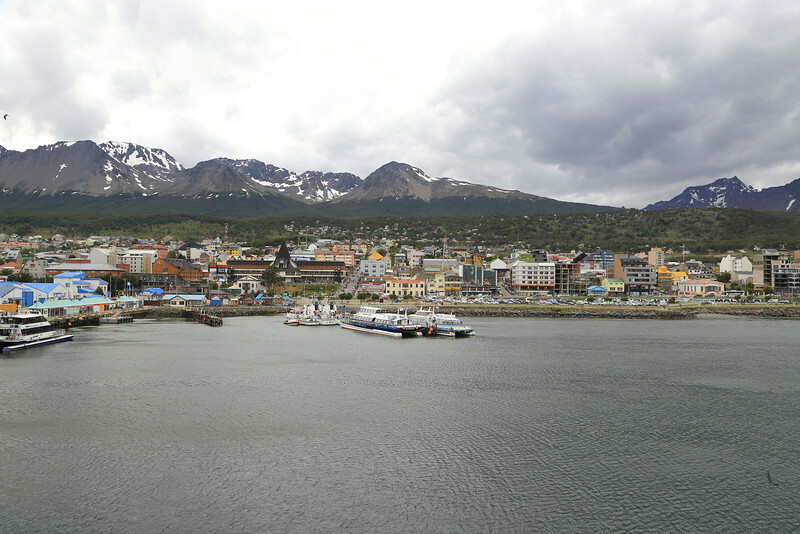 Ushuaia panorama; a large cruise ship docked, an Antarctic expedition ship by Quark is docked beside it, a good size comparison. 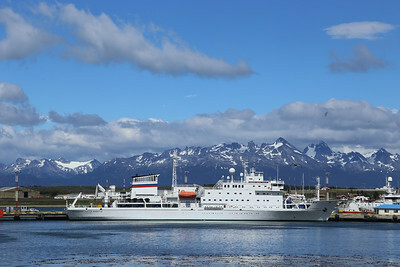 Ushuaia; the Sergey Vavilov docked, ready for our South of the Antarctic Circle trip. Ushuaia, the Sergery Vavilov at the dockside. 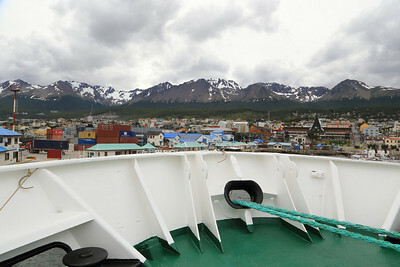 Ushuaia, as the Sergery Vavilov backs away from the dock. 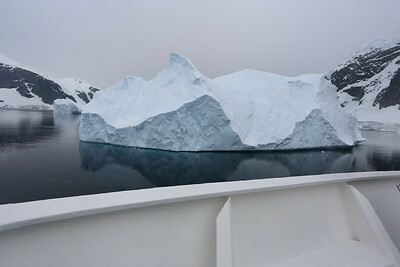 Wilhelmina Bay, more art work... beautiful, can't get enough of them. 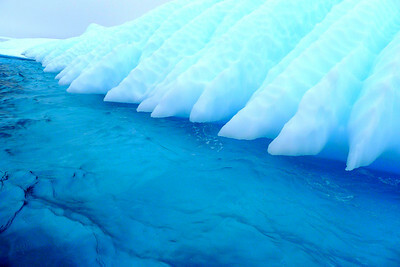 "Crystal Sound", They are pieces of natural art, each unique and beautiful. 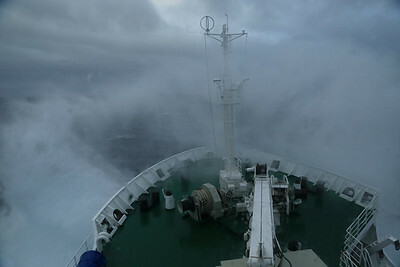 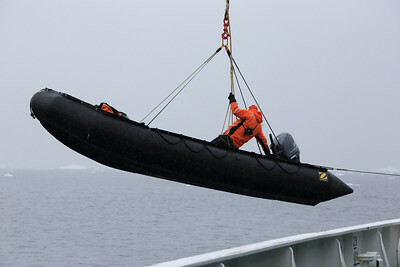 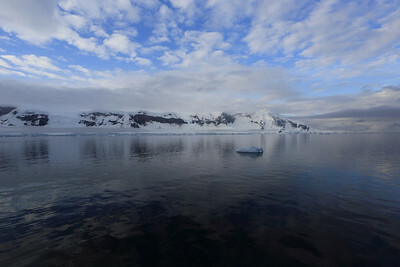 in the Gerlache Strait, view towards Anvers Island. 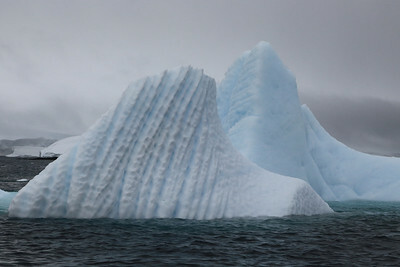 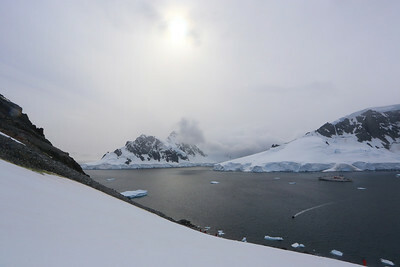 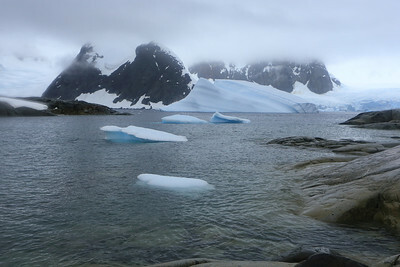 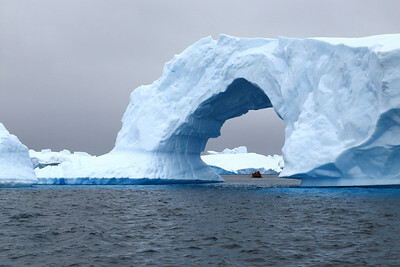 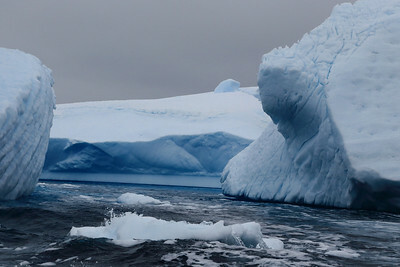 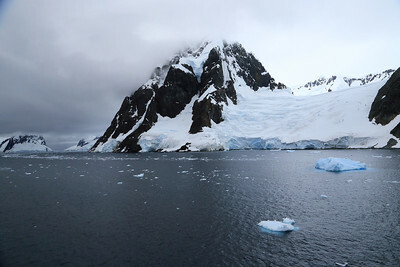 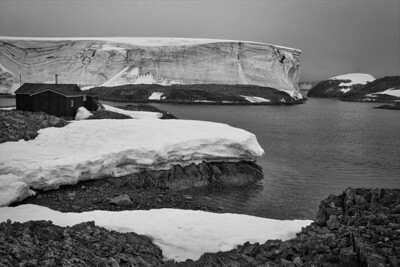 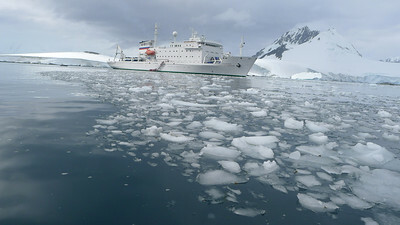 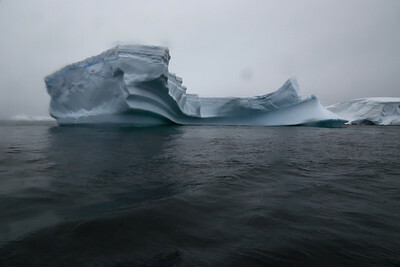 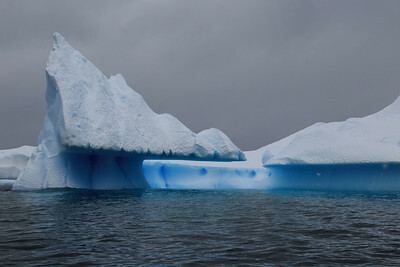 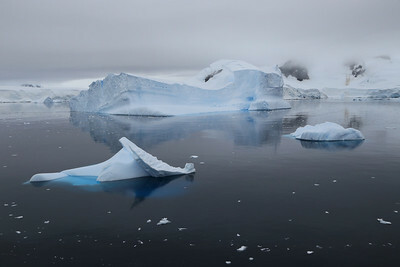 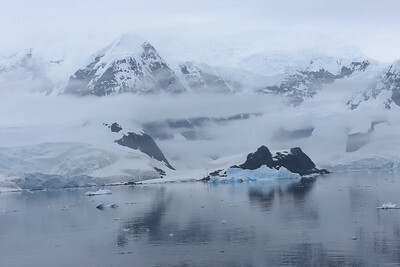 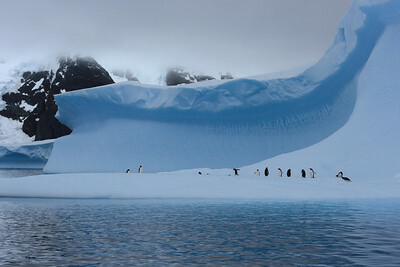 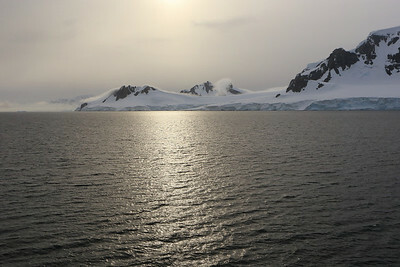 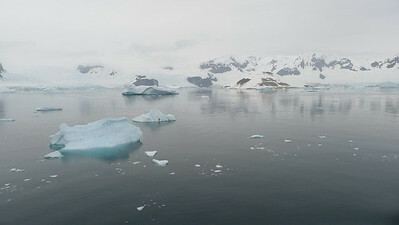 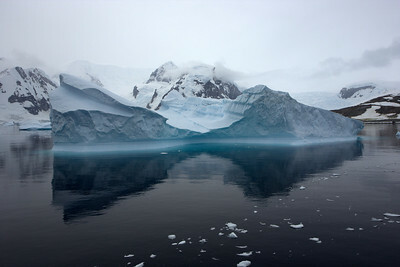 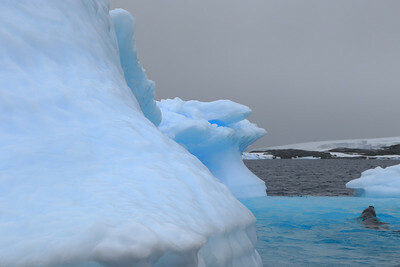 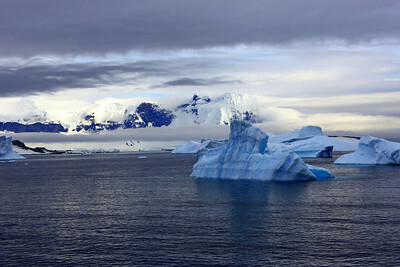 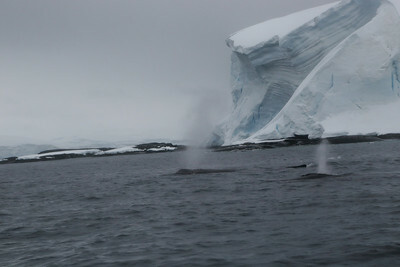 approaching Cuverville Island, "Errera Channel"
"Orne Harbour ", view from on the Antarctic mainland. 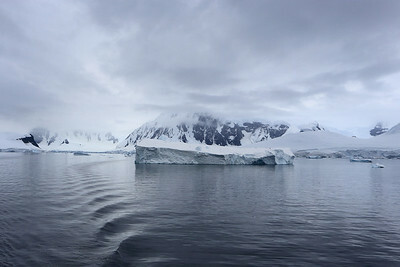 Gerlache Strait finally some blue sky, but it was brief... Anvers Island view. 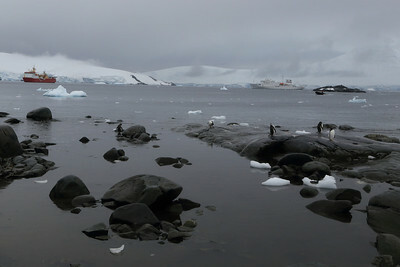 Port Lockroy: HMS Protector and Sergey Vavilov.